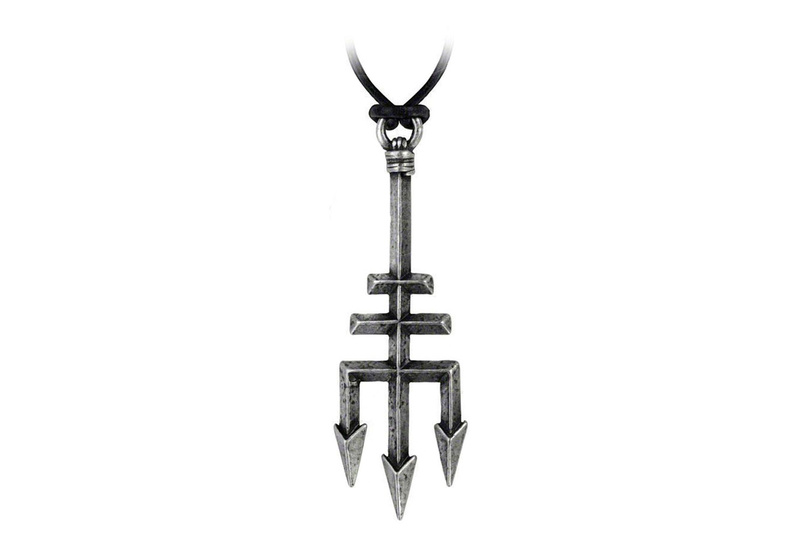 The three-pronged fork of the demons, signifying the wearer's intent to cast darkness over all before him. on black leather thong. Made of fine English pewter. By Gothic Alchemy. 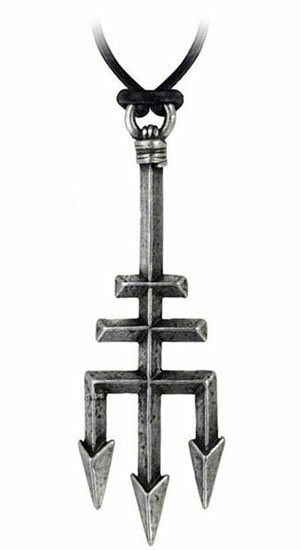 What are the dimensions of the pendant ? How long is the cord ? The pendant measures: Width 0.98\" x Height 2.99 x Depth 0.47\".\r\nThe adjustable Leather Cord is approximately 21 inches long. Answered by Blue on Sunday 07 October, 2018.